At Villa Optometry, we recommend each of our patients receive an annual eye exam at the very least. Your eyes need routine examinations so that if there is an area of concern with your vision or your eye health it can be addressed soon. When you visit our optometrist in Chula Vista, we’ll provide you with a comprehensive eye exam designed to pinpoint any areas of concern. Our eye doctor, Dr. Angelica Villa, is available to answer any of your questions. 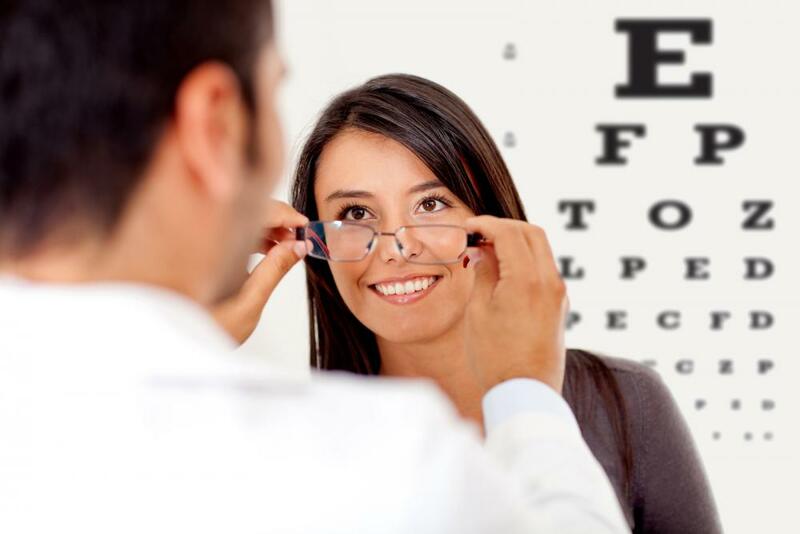 When you come in for an eye exam from your optometrist near Chula Vista, we will conduct two screenings. First, we’ll look closely at your vision. A vision test helps us to ensure your vision is as good as it can be. We’ll then look at your eye health. Eye health includes a look at the structures of your eyes to pinpoint any areas of concern. Corrective lenses for eyeglasses - Glasses and sunglasses are often recommended for patients who are farsighted, nearsighted, or for astigmatism. We will prescribe the proper lenses to improve your vision to the best level possible. Contact lenses - We offer both hard-to-fit contacts and traditional products designed to improve your vision. Hard-to-fit contacts are available for those who need toric lenses, multifocal lenses, hybrid lenses, or other specialty products for conditions such as astigmatism, presbyopia, dry eyes, or keratoconus. Also ask your eye doctor about LASIK evaluation, a screening process that tells us if you are a candidate for this vision-correcting surgery. Ask our team about computer vision treatment as well if you use digital displays often. The secondary component of your eye exam looks at the structure of your eyes, the nerves within it, and other factors to determine the health of your eyes. We offer comprehensive eye disease treatment as needed. Many people – some without any symptoms – will have these diseases and need preventive or ongoing care. We can treat macular degeneration, diabetic eye disease, dry eyes, glaucoma, and cataracts. Children should be seen by an optometrist just as frequently as adults. It is best to bring them in as early as possible. Children who display developmental delays or vision problems as young as six months should be seen right away. We offer a comfortable, relaxed space, and a team that is happy to help make your children’s eye exam as simple as possible. Contact Villa Optometry for more information on Eye Exams, or if you have any questions, our professional and friendly staff is ready to share any information you may need. We proudly serve Chula Vista and the surrounding areas of Terra Nova, Rancho del Rey, Otay Ranch Village, Sunbow, Otay Ranch, Eastlake. Call us today to schedule the eye care and eye exam you need. You can get fast, reliable care fromour optomotrist with one call to our team (619) 482-2020.